Lot Size: 9146sq. ft. 1ft "Irregular"
9146 sq.ft. lot - irregular. 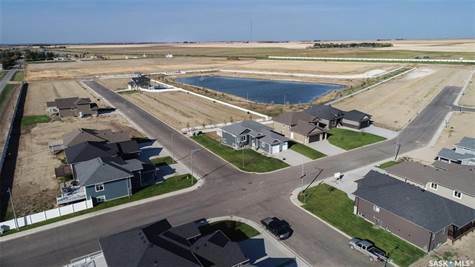 Sunshine Meadows is Saskatchewan's first "Holmes Approved" development and offers the charm of small town living with lots of urban appeal with an abundance of green space, walking paths, an eco-friendly lake and parks. Just 20 minutes from Saskatoon on a double lane highway.